Hi Campbell Great to meet you, can you give our readers some background information on yourself please? My name is Campbell Lawrie and I am the Paul Hamlyn Club Coordinator and Drama Class Supervisor at the Citizens Theatre in Glasgow. 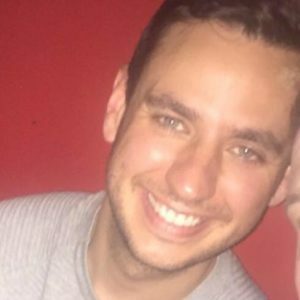 This is my ninth year with the company but have been working as the Paul Hamlyn Club Coordinator for the last three years. So what got you interested in the arts ? 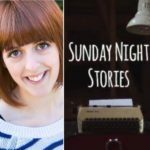 In first year of secondary school my English teacher thought drama and storytelling would help boost my confidence because at the time I was quite shy. 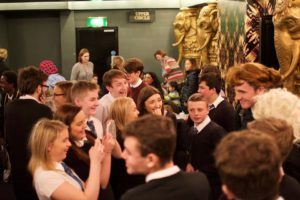 Drama wasn’t a course that was offered at my school so my teacher helped me find courses across Ayrshire – where I’m originally from. As soon as I started performing I fell in love with bringing a story to life and witnessing the effect this can have on others. I was hooked after that and knew that I wanted to use theatre as a tool to change people’s lives. You coordinate the Paul Hamlyn Club at The Citizens Theatre, Glasgow. Can you please tell us more about this initiative and your role? 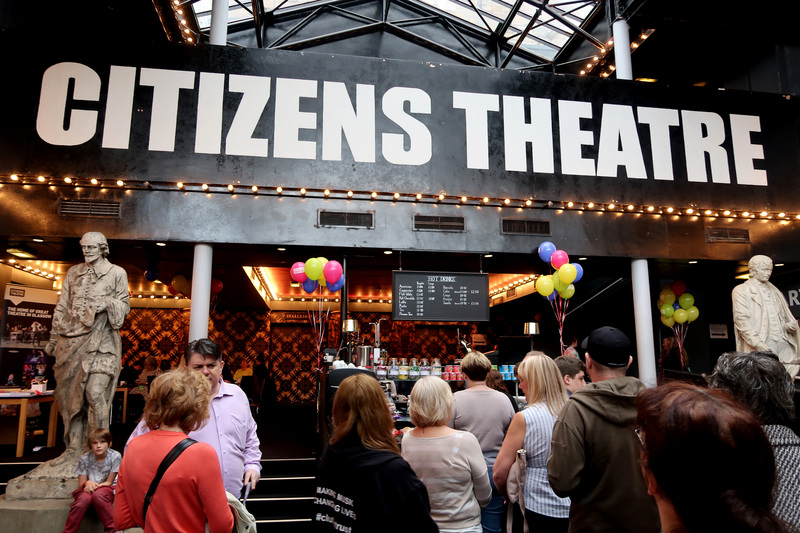 The Citizens Theatre was very lucky to be one of five venues across Britain to be gifted a sum of money to identify and tackle the barriers that local, disadvantaged people may encounter when trying to access the arts. My role is to coordinate the different strands of work we deliver in order to do this and also to create relationships with those affected. The role is very hands on. 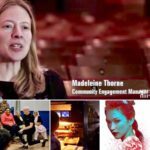 I regularly visit groups and their members in the local community and also welcome the individuals we engage with into the theatre and gain their feedback. 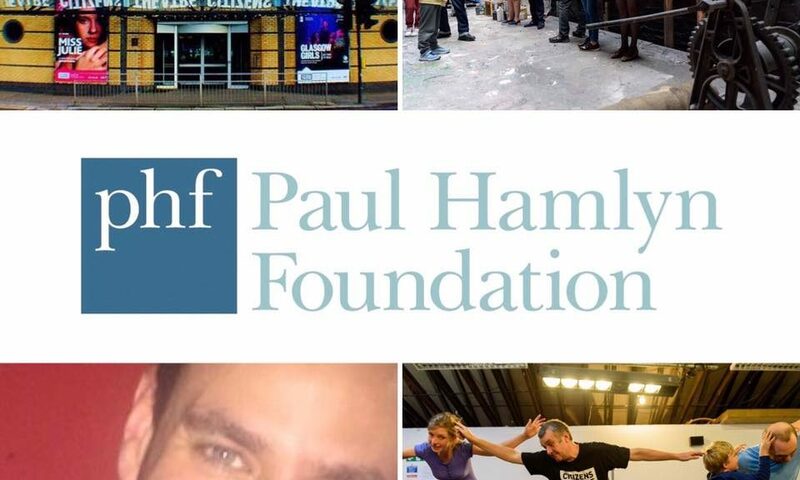 The Paul Hamlyn Foundation is funding the Paul Hamlyn Clubs to “Attract and build relationships with audiences from disadvantaged groups within their local communities.” How has your organisation approached this objective? 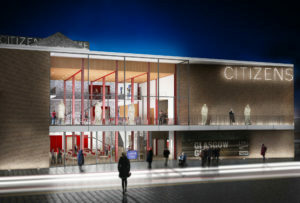 The Citizens Theatre was originally approached because of the amount of work we were already carrying out in the local community and across Glasgow. 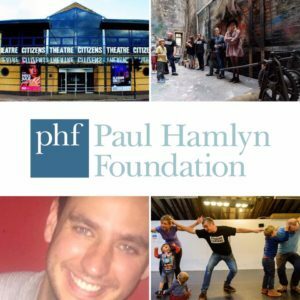 Using the gift we were able to refocus our efforts in attracting the local community to the theatre and there are currently four different strands of work under the Paul Hamlyn Club banner helping to achieve this objective. 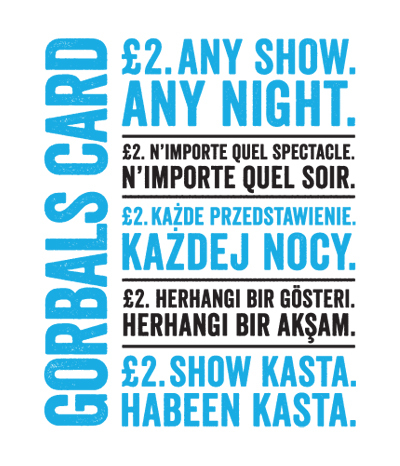 For those who live in Gorbals area of Glasgow, where the Citizens Theatre company has been based for the past 72 years, we offer heavily subsidised tickets to those who sign up to the Gorbals Card scheme. 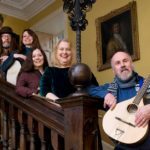 The area is still one of the most heavily deprived areas of Scotland and ensuring our neighbours can attend our shows is our way of thanking those who have supported us over the years. 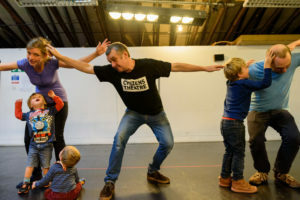 We also run a Deaf Theatre Club working alongside Inkblot Collective to deliver an accessible programme for our Deaf audience and we work with two local schools to help engage a new generation of theatre goers. The Paul Hamlyn Citizens is the fourth strand of work. 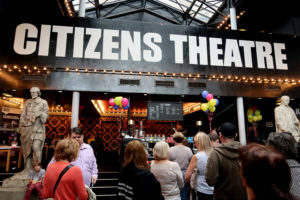 This involves visiting local organisations and charities to discuss the barriers faced in accessing theatre and inviting them to join the PHCitizens to access tickets to shows throughout the year at 50p per ticket. Our PHCitizens ambassadors are always on hand during shows and events to answer any questions or queries those attending through the Paul Hamlyn Club may have. Have your new audiences chosen to see any specific type of work at your venue? We have learned that our new audiences are willing to engage with most types of work because they know they have nothing to lose through attending. 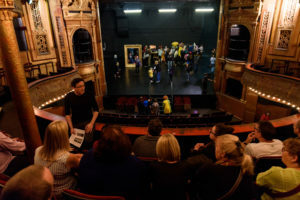 Our new audiences see coming to the theatre as a social event more than anything and the shows, the free interval ice-creams, the post-show chats etc are all just added extras. There is an amazing atmosphere at Paul Hamlyn events as many stay behind to discuss the shows and this in turn helps create a larger community network. 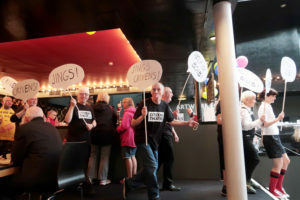 In saying this, comedies and musicals, especially if they are Scottish shows, prove to be more popular than most but Shakespeare, classics and new writing still appeal and have drawn in equally large numbers. What impact has had this project in your venue had on the larger organisation? 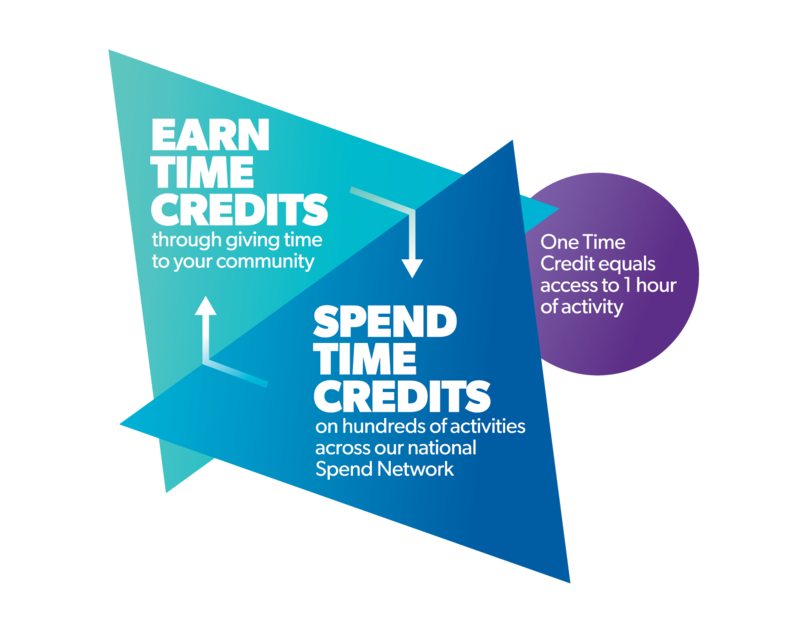 The impact of the project can be seen across the organisation. Every department has been involved in its delivery in one way or another: backstage have provided talks and presentations, FOH ambassadors greet and welcome the wide range of new patrons who come through our doors and one of our box office assistants is even completing Level 3 BSL. 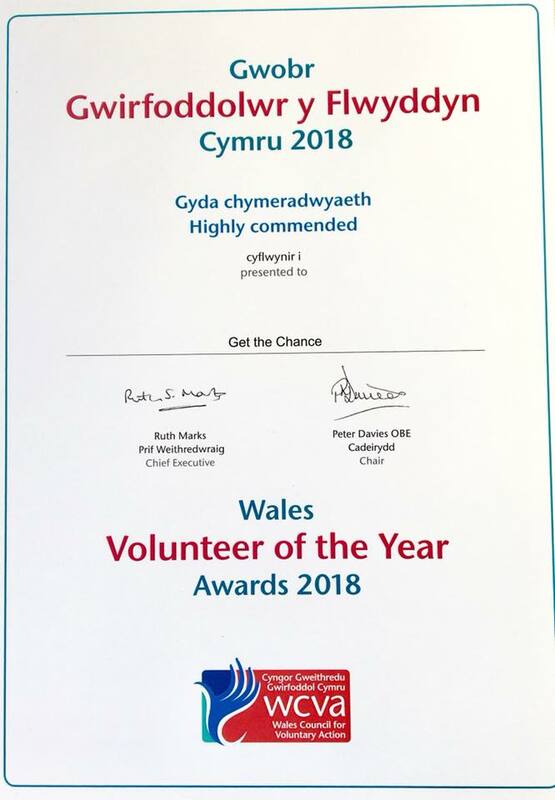 Our community work which has been aided through Paul Hamlyn has also been recognised in helping secure some money for our Capital Project. 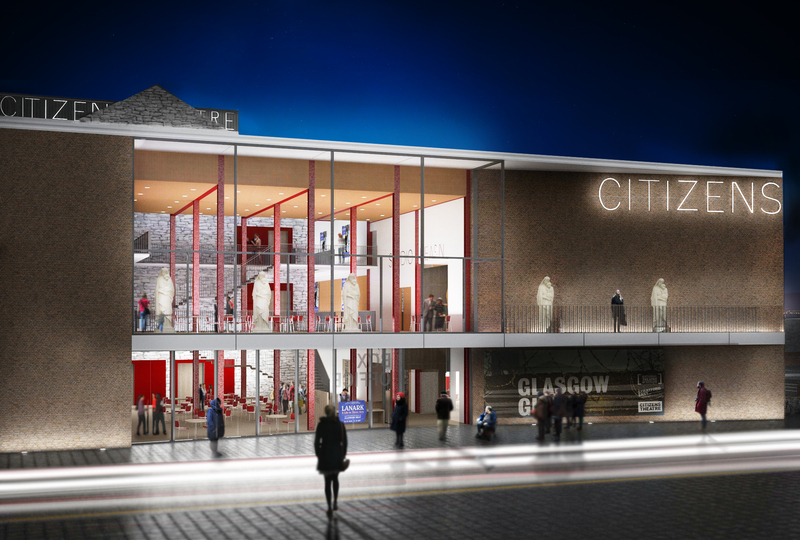 Accessibility is always at the forefront of people’s minds and this has helped emphasise our stance that we are the Citizens Theatre – we exist for and because of Glasgow’s Citizens. 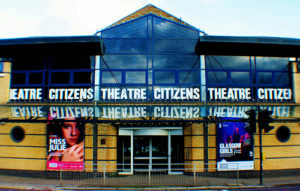 In the current funding climate many venues and organisation have very limited budgets. 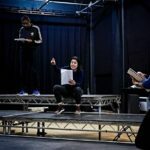 Is it possible to share some of your learning that organisations could implement to support new audiences that doesn’t require large amounts of funding? 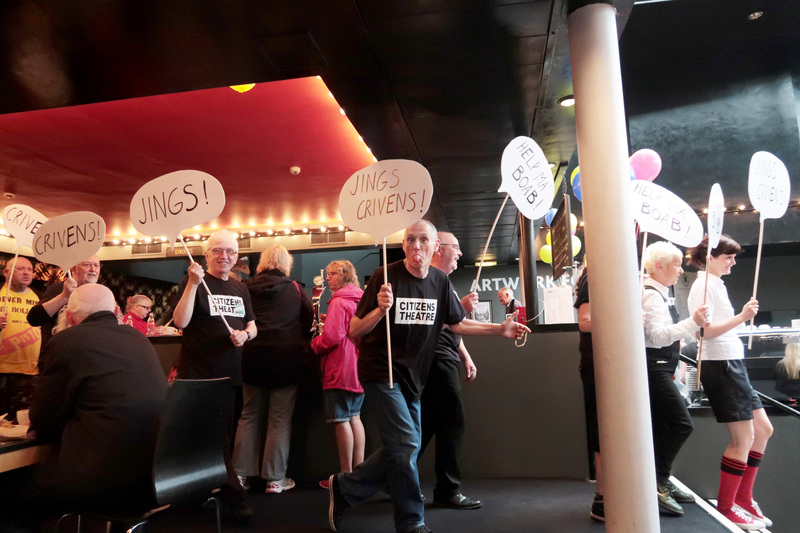 Funding obviously plays a huge part in making theatre accessible to all but small things like listening to your local community and sharing your resources/spaces with local organisations or individuals can help strengthen relationships. Finding out what your patrons want you to be and how else they would like to use the building is important in making the patrons feel comfortable in coming through the doors. An extension of this is having dedicated, friendly staff to welcome your new audience. 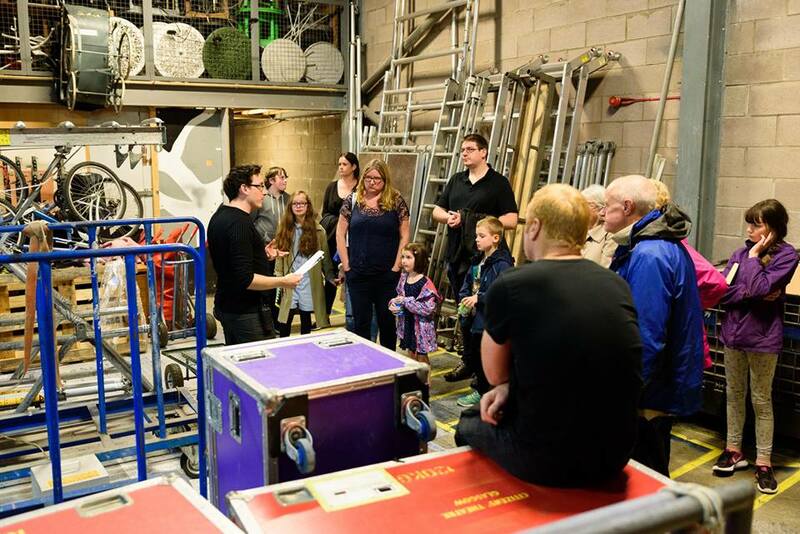 We held an open day event, for example, to promote the theatre and our learning work to local, disadvantaged people. We held workshops, talks and demonstrations throughout the building while outside a local band played and local organisations and businesses promoted their produce and work. The event cost very little because the local community were very generous in donating nearly everything we required and this in turn strengthened our network and individual relationships. I feel that a lot of the time people prefer putting names and faces to the organisation. 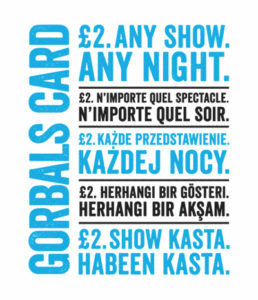 Offering unsold tickets to your local contacts is also a good way to engage your new audience. 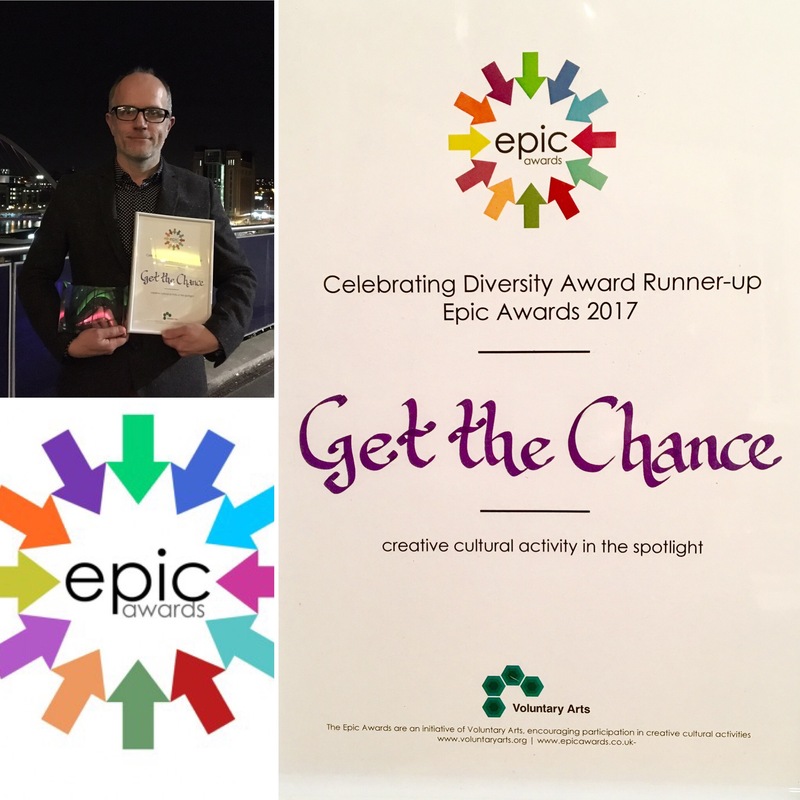 Get the Chance works to support a diverse range of members of the public to access cultural provision In relation to your own project are you aware of any barriers for audiences to access cultural provision. I think the barriers faced will vary greatly depending on where you are based. 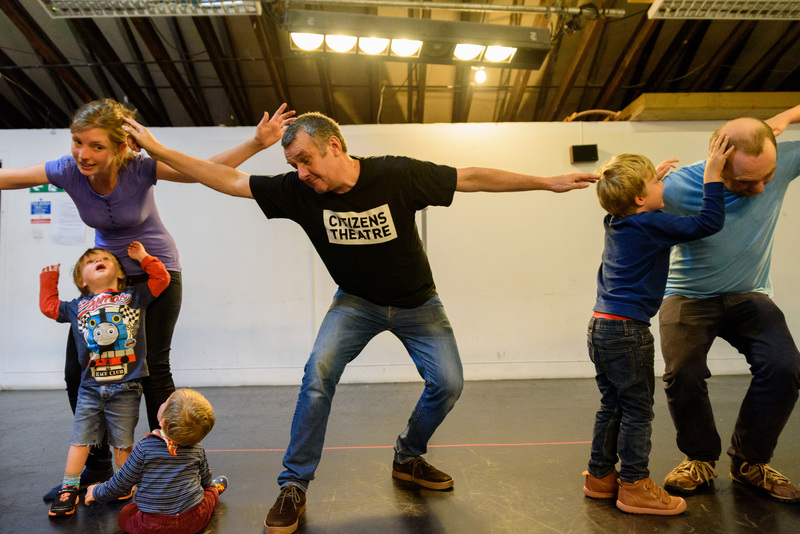 The Citizens Theatre is in a highly deprived area with an extremely diverse cultural background meaning we have encountered barriers such as language, affordability and childcare. Some people also feel intimidated entering a building they have only ever walked past or think it isn’t physically accessible. We have heard that a lot of people think theatre is elitist and “not for them”. Transport and programming also come up as common answers to what stops people coming along. Thanks Campbell, finally some more personal questions. What excites you about the arts? What was the last really great cultural activity event that you experienced that you would like to share with our readers? 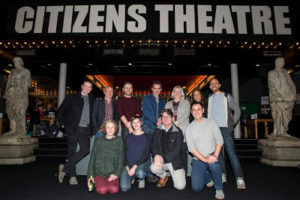 The cast of My Country with director Rufus Norris, gatherer Campbell Lawrie and some of the interviewees from Glasgow. 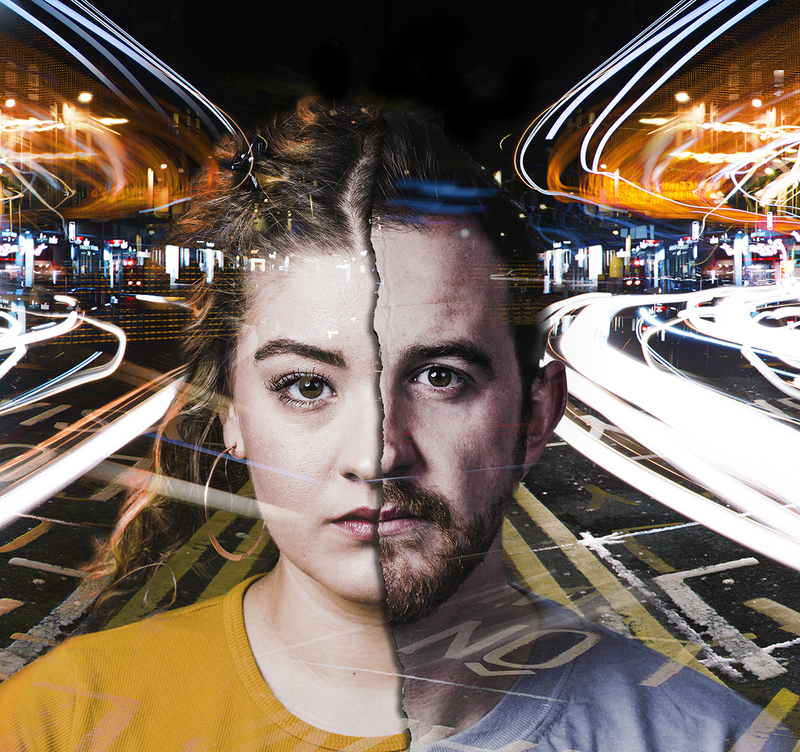 I genuinely get excited when a theatre show tackles social issues and politics head-on. Any piece of art that encourages debate or triggers a passionate response from its audience while also being entertaining has, in my eyes, achieved its goal. I was very lucky to have worked on the recent production of My Country by National Theatre. My role was to gather information from the Scottish people on their views on Brexit and the political climate following the Brexit vote. Listening to each person’s unique story on how they decided they were going to vote and knowing that snippets of these stories were going to heard by people all over Britain really excited me because the project, like the issue, encouraged debate but this time it was a debate between everyday people – not the media and not the politicians. 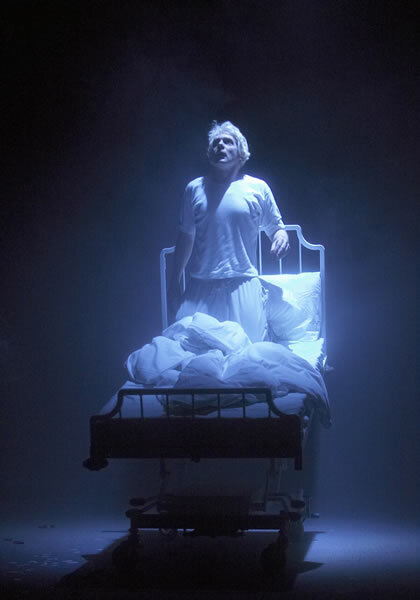 There is, on the other hand, one show that has stuck with me for ten years and remains my favourite piece of theatre – Headlong and Citizens Theatres production of Angels in America in 2007. I have no words to describe how that show made me feel but it did make me want to work at the Citizens Theatre. I guess in that way, that show changed my life. An interview with Mathilde Lopéz, Artistic Director, August 012.